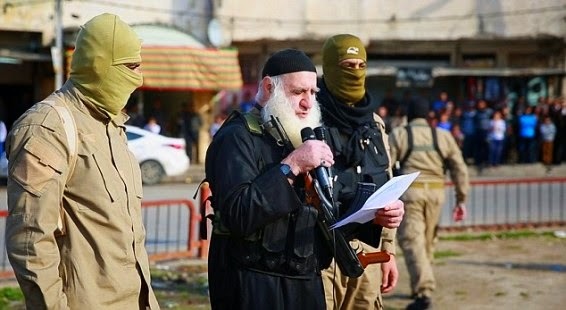 ISIS have continued to show the world the more reason why they should be eradicated. 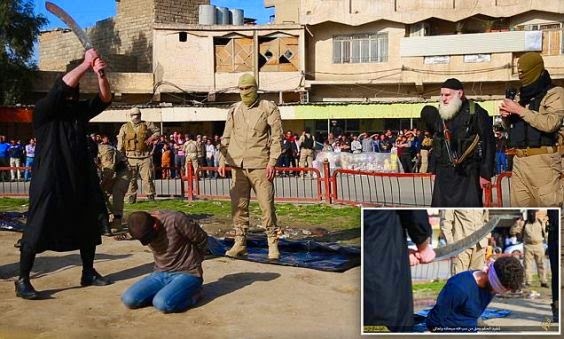 Below are loads of pictures of ISIS beheading men, accused of homosexuality and blasphemy. You can see for yourselves how these evil men have continued to dread the whole world with their acts of publicly beheading fellow men and women for reasons even the Almighty God will never lay a hand on you. The photos of the barbaric execution was shared online today.